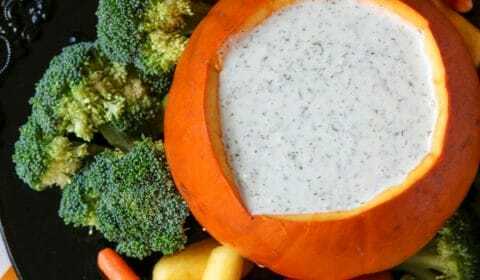 You can’t go wrong with a traditional Paleo ranch dressing & vegetable platter! 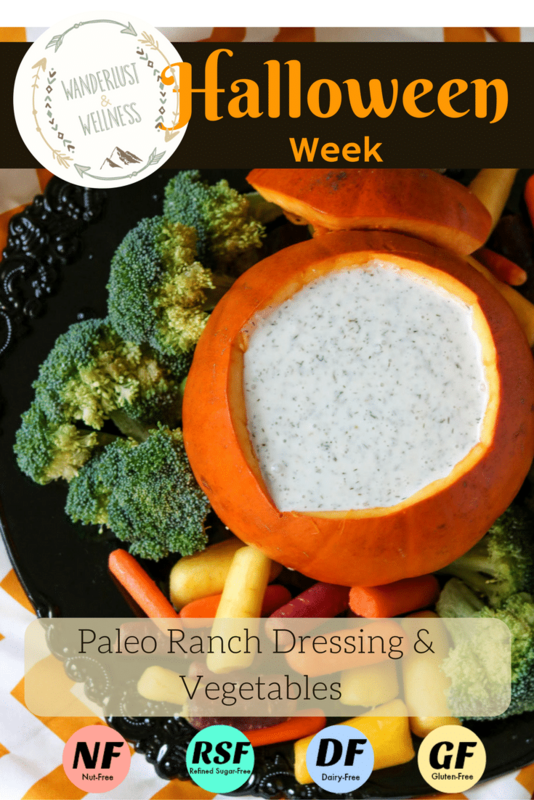 If you haven’t already, you have got to try this Paleo ranch dressing recipe. When I first changed up my diet I was so sad about giving up my ranch dressing (unhealthy food relationships) but then I realized I could make my own, with better ingredients, and STILL enjoy my ranch dressing! Boom! This traditional potluck appetizer can also be a crowd pleaser with kids. 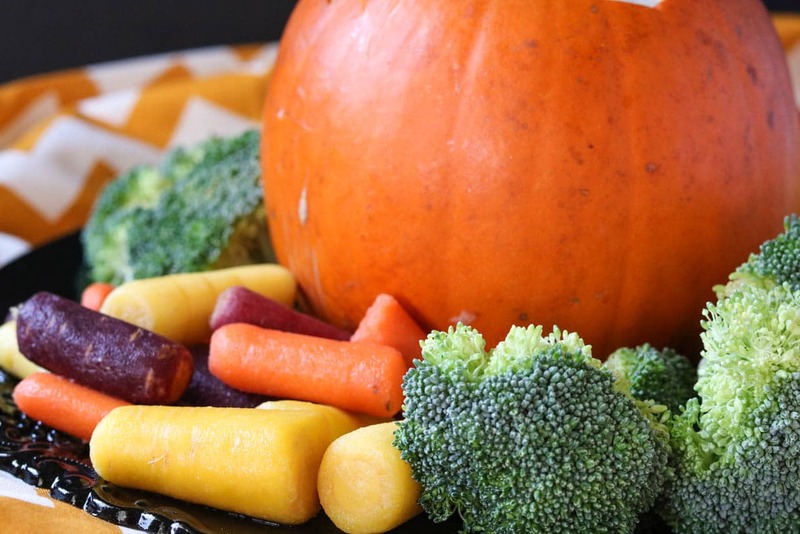 Try this out on the kids this Halloween, and serve it with a side of Chocolate Covered Strawberry Ghosts for their sweet tooth! Cut the top off of the pumpkin and clean out the inside by removing all seeds. You’ll want the inside nice and clean. 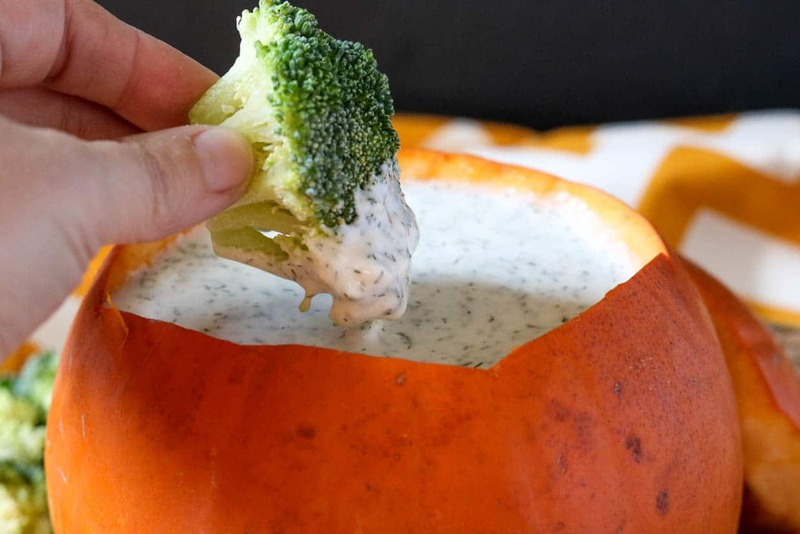 Pour ranch dressing into pumpkin. 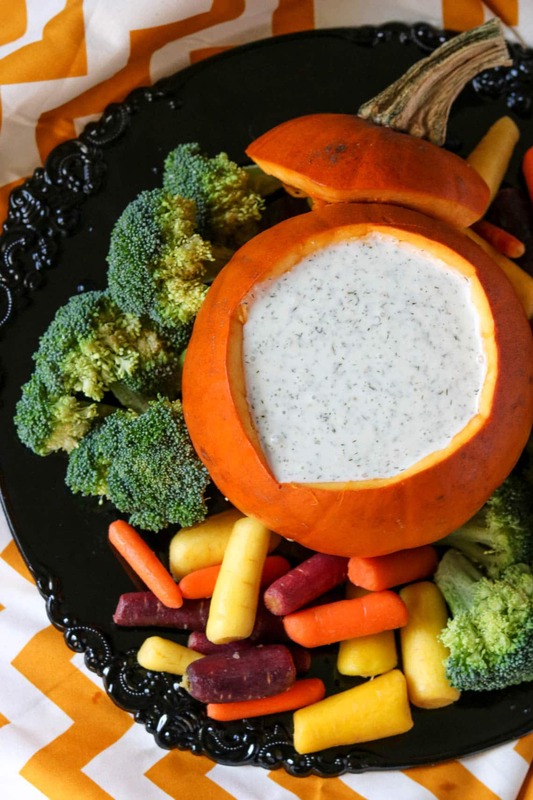 Arrange vegetables onto a serving platter and place the pumpkin with the ranch in the center of the vegetables. Store any remaining ranch in a mason jar.